Words cannot say or even convey all the amazing reactions, emotions, feelings, and experiences of being pregnant, giving birth, holding your newborn during a nap or feeding and watching your child grow up. Okay, okay, lol yes words describe these life events BUT portraits taken during these amazing times tend to be a simple yet powerful way to capture experiences. One thing is for sure, life flies by. Meet Mrs E and Mr. K – a fabulous couple that brings fun energy to a room. I remember meeting this couple at a wedding I photographed. She was the maid of honour at her best friend’s wedding. I liked Mrs E the moment we started talking as she was full of life, excitement and energy. And a few months after the wedding, I received a warm email from her enquiring about Maternity photos. Eeeeek I was so excited. 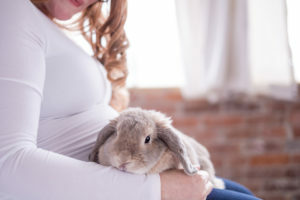 We spoke about her vision and thoughts about maternity photos and my heart raced when I heard that she wanted to include their rabbit, Freya, in their maternity session. Eeek, music to my ears. 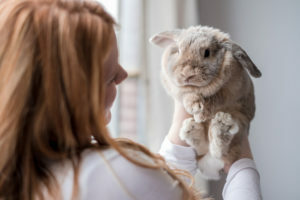 I just love it when families involve their fur-babies. Mrs. E is a fashion-ista and has a flare for details. In addition, her hand her husband are also a couple that likes to be casual-chic. 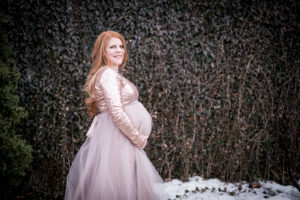 Thus, we planned a fun maternity shoot that started out with some ‘casual’ outfits and then finished outside with a New York inspired fashion session. Mrs. E rocked the session with her baby bump. 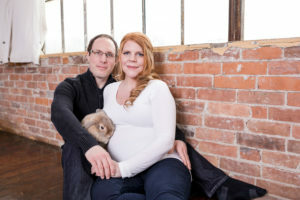 Two weeks after their maternity session they met with me for their portrait premier. 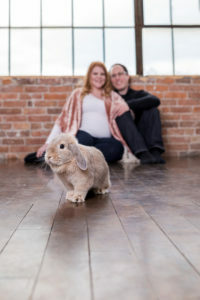 This was a fun session, where they got to see their images and relive their maternity session all over again. So many laughs were shared again. 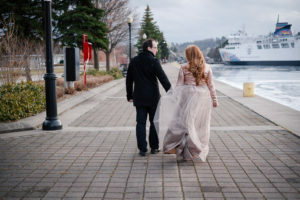 They decided they wanted to invest in a beautiful photo album that told their maternity story from start to favourite. Photo albums are an amazing way to showcase your photos. And they can picture themselves sitting on the couch and turning the pages of their beautiful photo album, all the while telling their story to the little one sitting on their lap. They loved the photos so much and the memories captured that they asked if I did newborn photos too. I smiled and said, I sure do. I explained that I love lifestyle newborn photos where mom and dad are more involved in natural poses and moments. They were hooked. Stay tuned for a blog post all about their newborn session. Here is a gallery showcasing some of our favourite shots from their Maternity session.